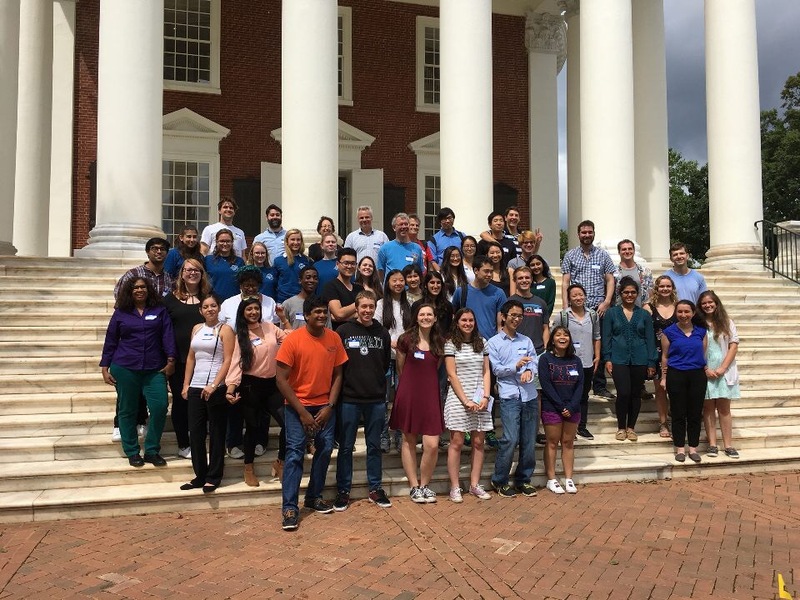 The University of Virginia iGEM team invited us along with William & Mary, University of Delaware, UNC-Asheville, and the University of Maryland to the Virginia Mid-Atlantic Meetup event. 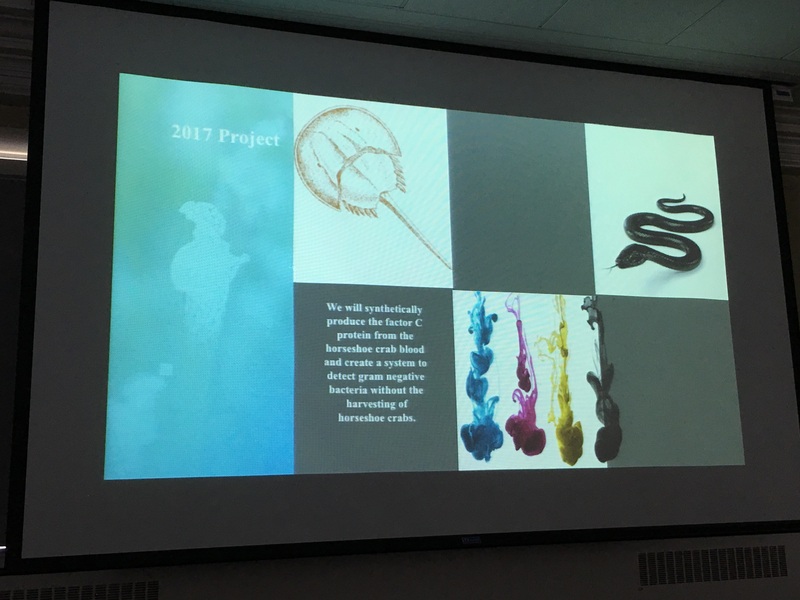 Each team gave a short presentation on their project. After every two presentations, there were break-out sessions. Most of the collaboration took place during the breakout sessions. Due to this opportunity, we were able to discuss and ask questions to the other teams about their projects. The discussions helped us think about our project on an introspective level. Through our conversations with William & Mary, we realized the importance of the rate of protein expression in a vector and its relation to our protein expression rates. Analyzing how each group presented improved our overall presentation technique. After every presentation and break out session the Community Bio Labs from Charlottesville presented and then we had one final breakout session. This break-out session was the most important because we were able to speak directly with someone who had used HCG and pregnancy tests as a detection device. The conversation made us think about the concentration levels pregnancy tests detect and how we may need to alter our detection mechanism. 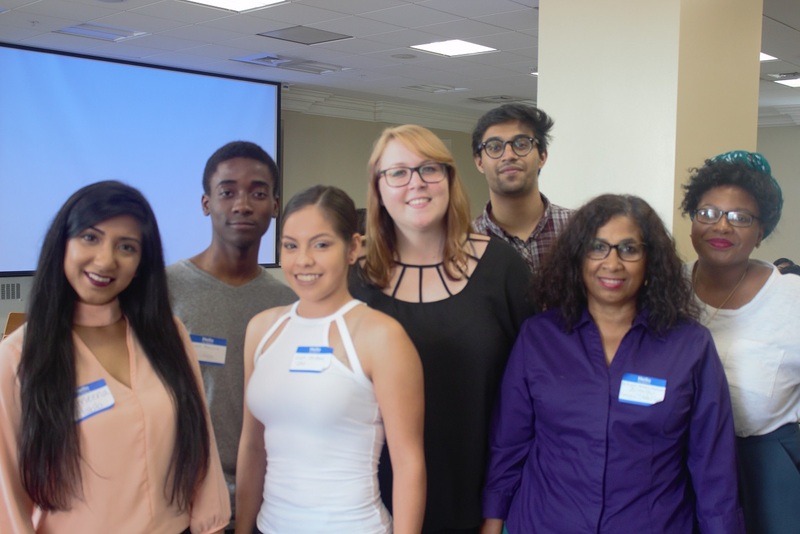 Emory, this year, had a cool project that focused on an issue faced by water refinery plants. Emory found during their visit to their local WaterHub that a primary concern was to come up with an efficient way to deal with constant fluctuating orthophosphate levels. Emory, to address this problem, decided to experiment on increasing the efficiency of organisms to eat phosphate. We assisted Emory in this endeavor by working with four strains of Bacillus subtilis. Two of the strains were wild-type isolated from water donated by the Emory Waterhub, and two of the strains were commercially available Bacillus subtilis. The goal of our work was to see which strain could uptake the most phosphate. To test the bacteria we the protocol provided by Emory, see tab labeled Emory protocol. Then we modified the protocol, see modified protocol. And, finally, because we were lucky enough to visit the Georgia Aquarium a place with an abundant amount of water and a state of the art filtration system we asked the aquarium for some of their unfiltered and filtered water to see if they had some of the same phosphate problems. Leave overnight in a mixer at 37 C.
Next day, centrifuge 96 well plate. Take 5 mL of LB broth and place in 50 mL falcon tubes. Take a stab from glycerol stocks of two wild-types and two commercial strains(provided by Emory), place in tube. Let shake in the incubator overnight at 37 degrees.